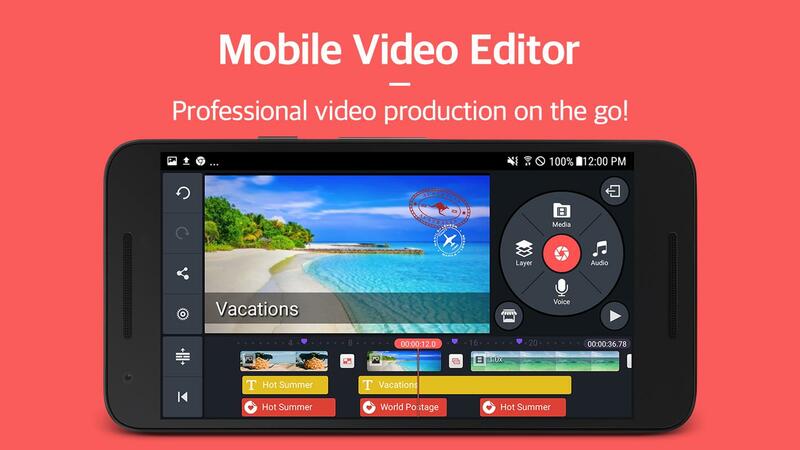 KineMaster is a full-featured video editor for Android. 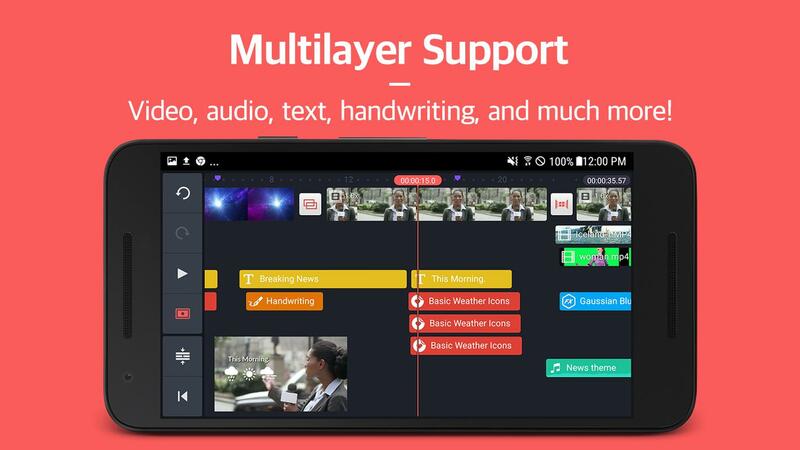 KineMaster has powerful tools that are easy to use, like multiple video layers, blending modes, voiceovers, chroma key, speed control, transitions, subtitles, special effects, and so much more! 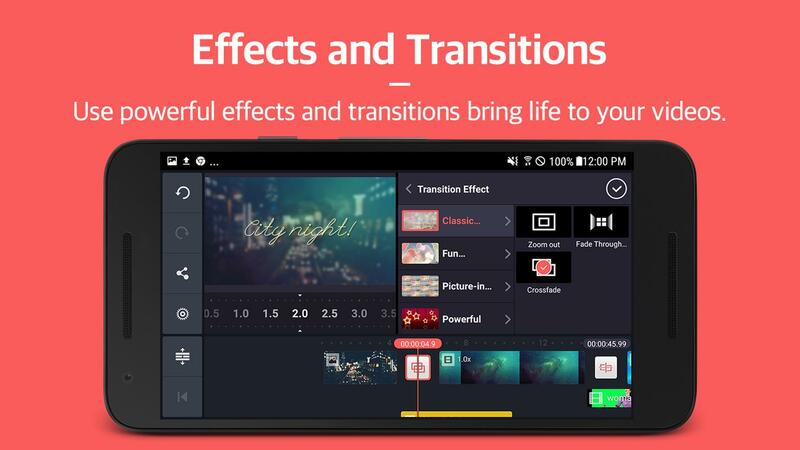 Find out why creators love KineMaster for YouTube, TikTok, and Instagram and why journalists, educators, marketers, and vloggers use it professionally! 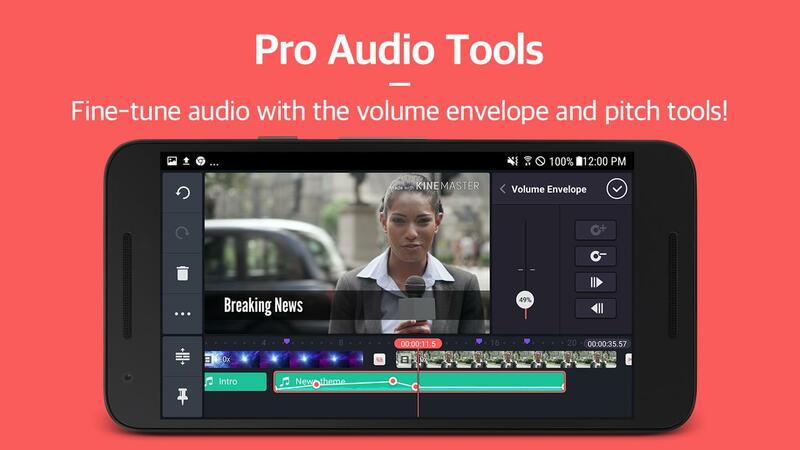 Download KineMaster to create, edit, and share your own amazing videos! • Many, many more features, options, and settings! 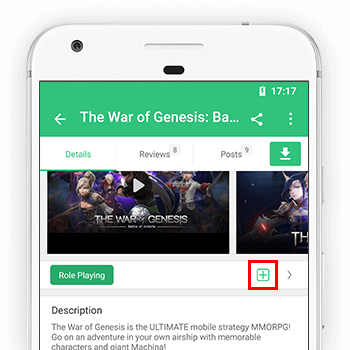 For more details, questions and enhancement requests, please contact us: Tap on the question mark button on the KineMaster main screen, then tap E-mail support! 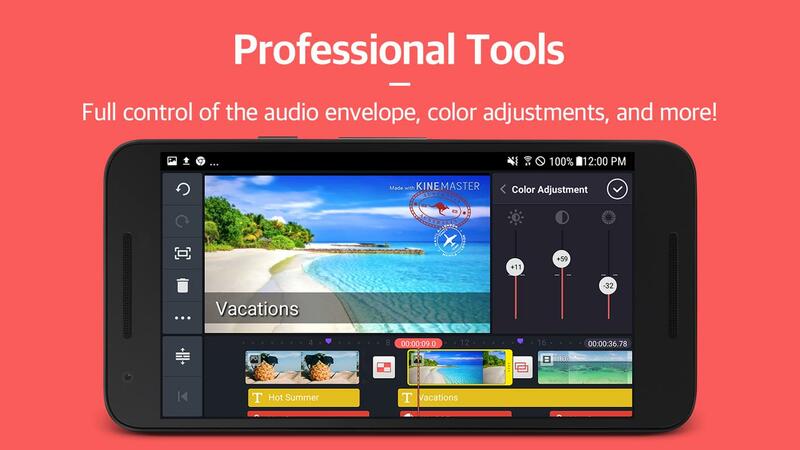 KineMaster requires access to your phone’s camera and microphone if you want to record videos or sound directly in the app. KineMaster also requires access to your phone’s storage in order to save projects you are working on (projects are saved externally in a folder called “KineMaster” so that you don’t lose anything if you reinstall or clear the app data). 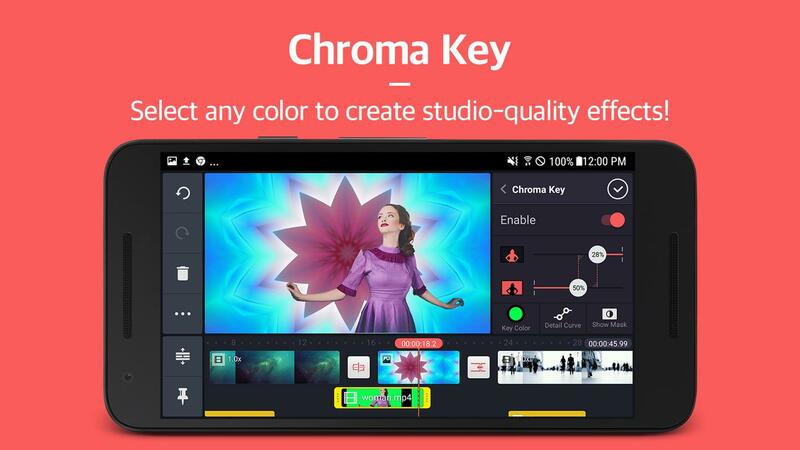 KineMaster is free to use, but a watermark is added to videos and Premium assets and some tools are not available. 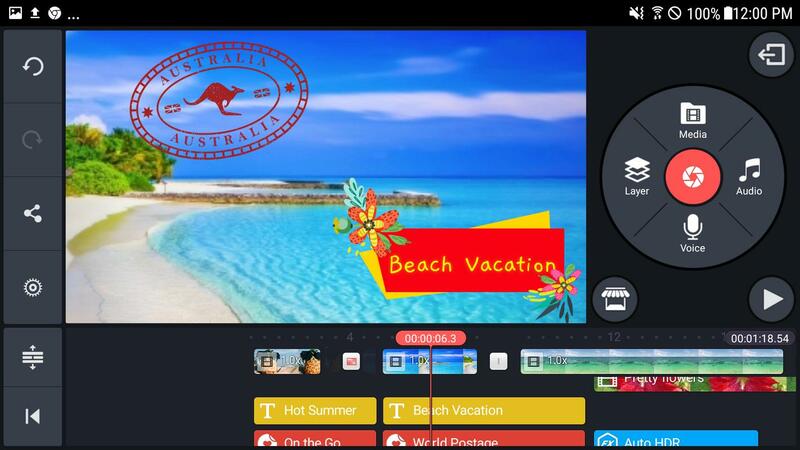 With the purchase of a monthly or annual subscription to KineMaster Premium, the watermark is removed, all the editing tools are unlocked, and all items in the KineMaster Asset Store may be downloaded. 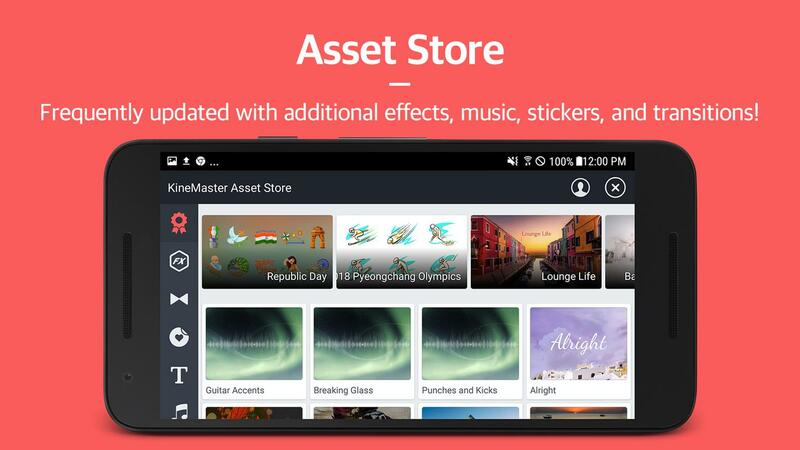 You can subscribe to KineMaster Premium from within the app. Subscriptions to KineMaster Premium automatically renew unless you cancel in Google Play.